Caribou Ridge is a luxurious private mountain community in a world away that isn’t far away. 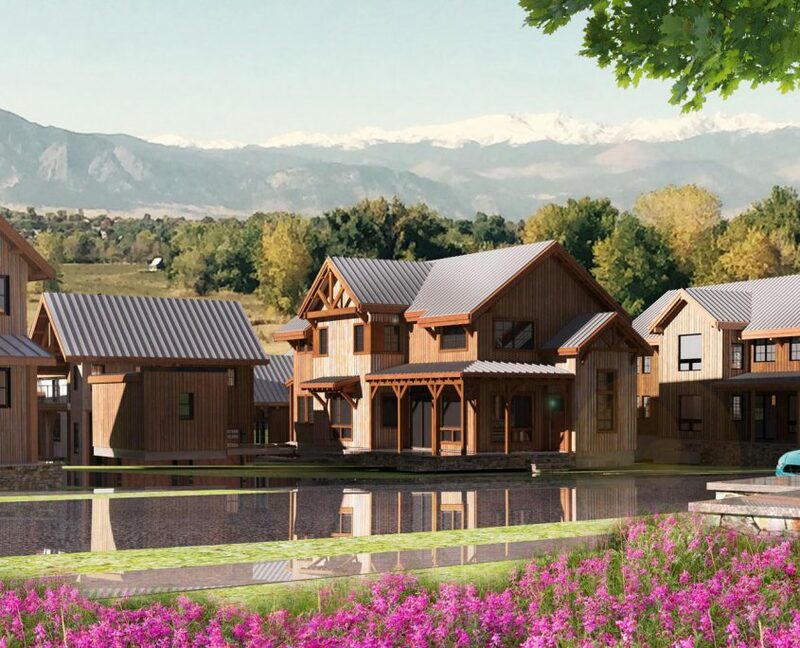 Just 20 minutes from downtown Boulder, the neighborhood offers unparalleled views of the Rocky Mountains and is bordered by private land, open space, and National Forest lands providing a park-like setting with year-round access to trail systems. Local skiing, hiking, snow shoeing, world class mountain bike trails and fly-fishing are also among the regional amenities. Unlike most mountain properties that have to manage septic systems, truck in propane and provide their own water, Caribou Ridge is a 100% infrastructure improved community that includes buried natural gas and electric lines, city water and sewer, fire mitigation, and 50 Mbps high-speed internet. GEOS is the first sustainable, integrated community in Colorado where energy from the earth and sun replace all fossil fuels. We use a range of architectural materials—including brick, stone, and stucco—to create a variety of single-family homes, town-homes, live-work spaces, condos, and co-housing communities. Our involvement with GEOS reflects our commitment to creating sustainable communities that use zero energy to benefit our humankind and our planet.